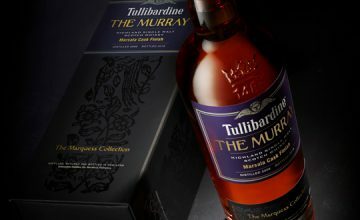 Gordon & MacPhail Gives Birth To Longmorn Twins – Whisky Critic - Whisky Reviews & Articles - Style. Attitude. Whisky. 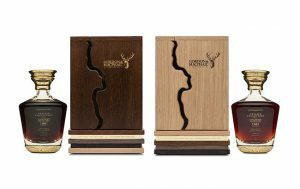 Gordon & MacPhail has produced a pair of 1961 vintage whiskies from the Longmorn Distillery when the Speyside distillery was still an independent. Both Longmorn whiskies have been matured in first-fill Sherry hogsheads and bottled at cask strength – with one whisky from the European oak cask 508 bottled at 45% alcohol by volume [90 proof] and the other whisky from American oak cask 512 bottled at 40.8% alcohol by volume [81.6 proof]. 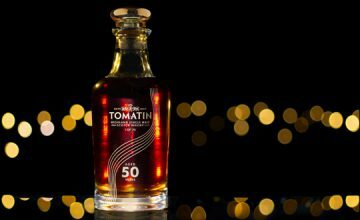 The Longmorn whiskies will require a substantial investment as they will only be offered as a pair for the paltry price of $40,000 [which includes their decanters].